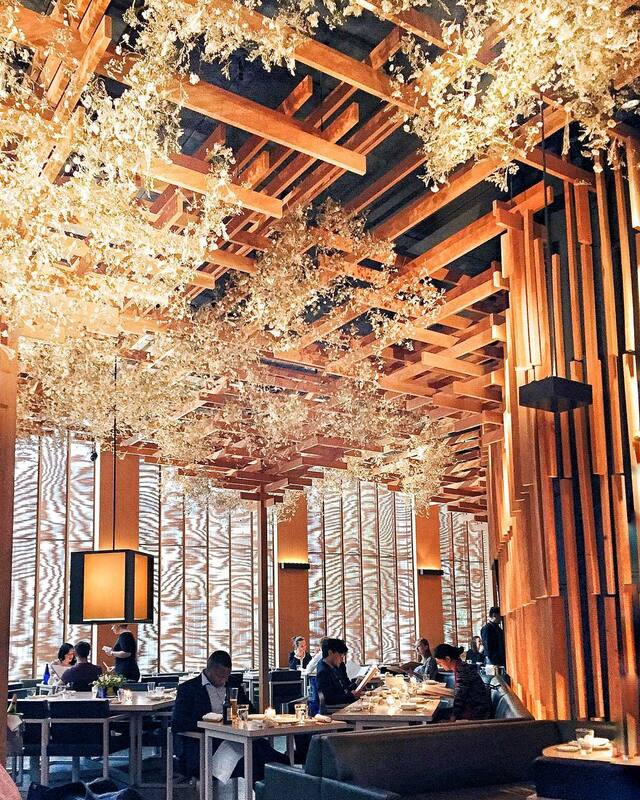 It’s never been easier to find a fabulous Japanese restaurant in London… if you know where to go. Japanese restaurants seem to be opening in the city faster than you can say sashimi – and we’re certainly not complaining. So we thought we’d guide you in the right direction with a tried and tested list of a few favourites you should definitely gyoza and try. This unassuming little restaurant is located just off Leicester Square, which we reckon makes it the perfect little hideout away from the hordes of selfie stick-wielding tourists. The menu is slightly baffling to anyone who isn’t fluent in Japanese, but we went with the chef’s recommendations and didn’t regret it. The theme of Machiya is definitely ‘authenticity’. The food is excellent (once you figure out how you’re supposed to be eating it!) and the cocktails are super pretty. Try the jigglypuff – you won’t regret it! 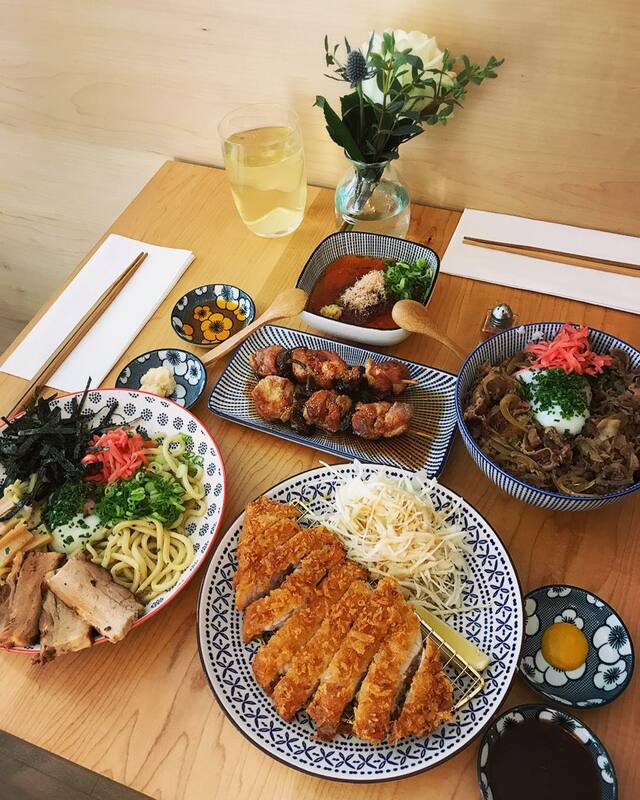 We were blown away by this one – Sake no Hana is definitely the perfect place to go for a special occasion if you’re celebrating with someone who’s mad about Japanese food. The décor really sets the tone for a rather classy affair and it’s right off Oxford Street so basically, the perfect pre or post shopping stop. Probably post – we know you need a place to relax after facing those crowds. We’d particularly recommend their Umai Sushi Saturdays menu. You might turn your nose up at the £50 price tag initially, but once you realise that it includes seven courses plus a cocktail plus half a bottle of champagne each – it’s not just budget prosecco people! – you’ll be sold. They always seem to have a banging set menu deal going on, so it’s definitely one to keep an eye on. This place is cosy and colourful – filled with neon lights and Japanese décor. The drinks menu perfectly fuses traditional Japanese spirits and flavours. Try the Meet your Matcha for a unique combo of smoky whisky and delicate green tea. Or, if you’ve got more of a sweet-tooth, the Frozen Yuzu Margherita is the perfect adults-only Slush Puppy. There’s almost too much choice when it comes to the small plates on the menu. If you’re a seafood fanatic we’d highly recommend the delicate soft-shell crab or – if you’re not – the umami chicken wings. It takes twenty hours for Bone Daddies to create the amazing soup base for their signature Tonkotsu ramens and their efforts have not gone unnoticed! 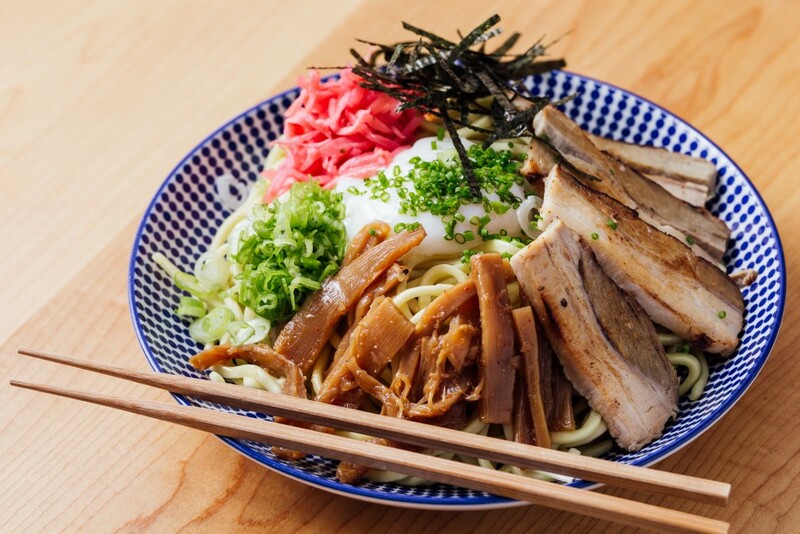 You can even tailor your ramen to suit you – just ask your waiter. Peruvian and Japanese fusion? Pardon me? It’s actually not as completely bizarre as it sounds, in fact it works extremely well. More than just a restaurant, Mommi is all about great sharing plates, top service, smashing cocktails and mixing cuisines in a very clever way. 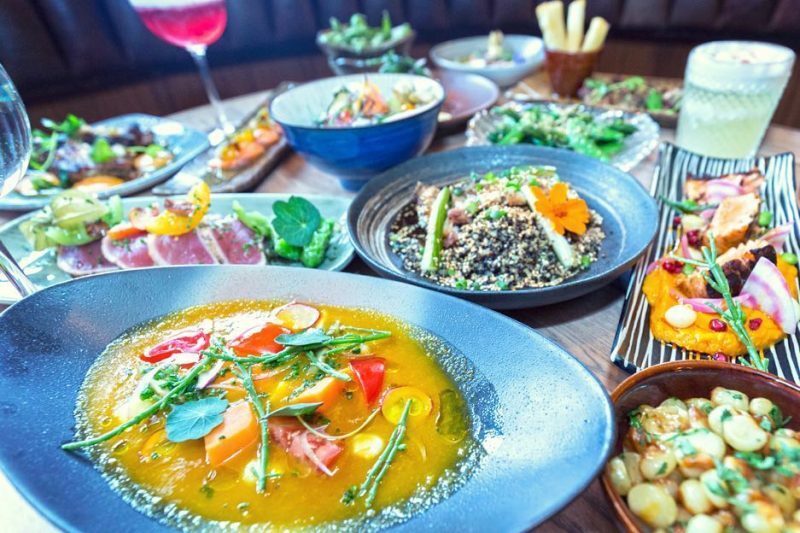 The menu features some incredible standout dishes, including the House Ceviche with sea bass, tuna, salmon, sweet potato, red onion, mango and tiger milk, the Flame-Seared Tuna Tataki and the Lamb Cutlets Yakitori with green tea miso. The best part, for the resident Coeliac on the Secret London team at least, is that everything on Mommi’s menu is totally gluten free (and Coeliac UK accredited, big up ?). This is so hard to find when it comes to Japanese food, what with all that dastardly soy sauce, but Mommi have seriously come through with the gluten free goods. This also means gluten free beer, which, being as rare as it sadly is, is always a winner in my books. 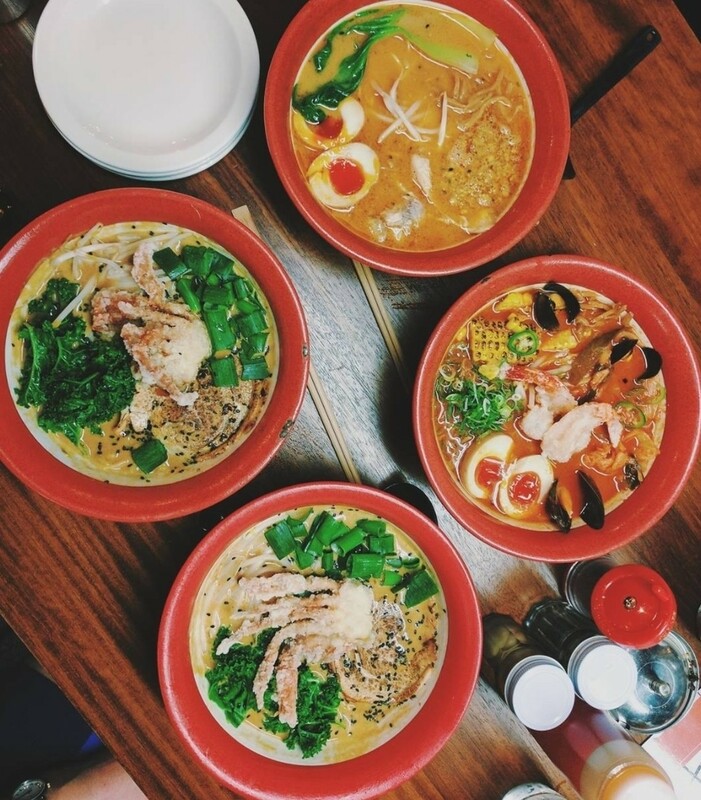 The most unsuspecting out of the lot, Kanada-Ya has a huge (and very well-deserved) reputation amongst ramen-loving Londoners…resulting in lengthy mealtime queues outside of its door. But whatever you do, do not let this put you off. 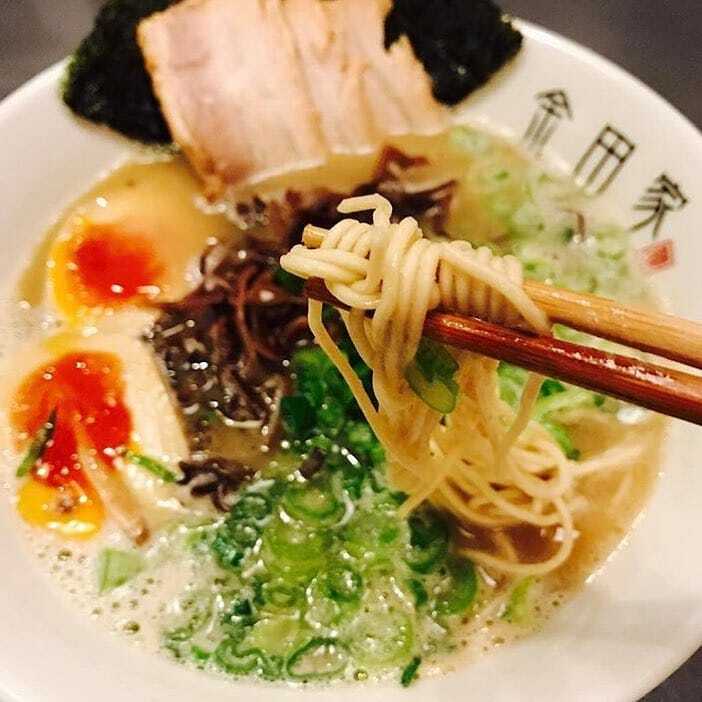 Pork bones are simmered for 18 hours to create the rich and seriously smooth tonkotsu broth. Homemade thin wheat noodles are then bowled and the toppings range from pork belly slices to pork belly and blanched beansprouts or pork collar (so don’t come if you don’t like pork). There is also a range of Onigiri (Japanese rice balls wrapped in Nori). Founded first in Yukuhashi, Japan, before being brought over – this is as authentic, and tasty, as it gets.